Singer Rachel Lorin, known for her charting son “I Hate You”, will perform at West Hollywood’s iconic club, Whisky A GoGo this Wednesday, April 3rd, at 8PM. The show will be Live-Streamed Worldwide via RYouLive (www.ryoulive.com). Rachel’s NYC show will be the following week on April 11th. 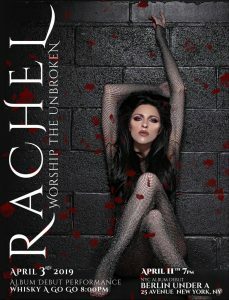 Her shows are in support of her new full-length album, “Worship The Unbroken” due to be released later in 2019. The first single, “Under My Skin” will soon debut with an accompanying video. 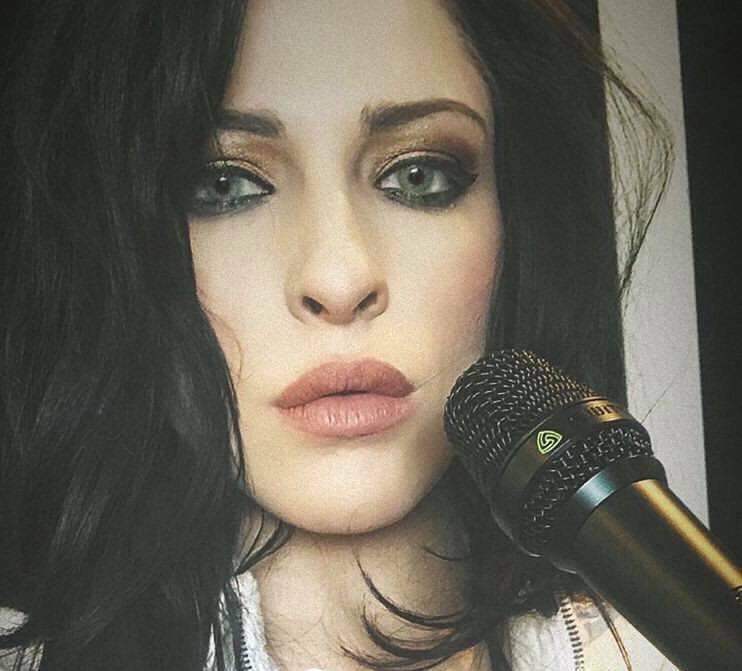 The upcoming album, produced by award-winning Producer Kane Churko of the Hideout Las Vegas (Ozzy Osbourne, Papa Roach, Modern Science, In This Moment, 5 Finger Death Punch) represents a musical departure, moving the 23 year old Atlanta native, away from her Hard Rock past into a unique Rock/Alternative/Pop feel. All songs were written by Rachel Lorin, Rob Endling, Curtis Martin, and Kane Churko. Drawing on influences as diverse as Muse and Panic! at the Disco. 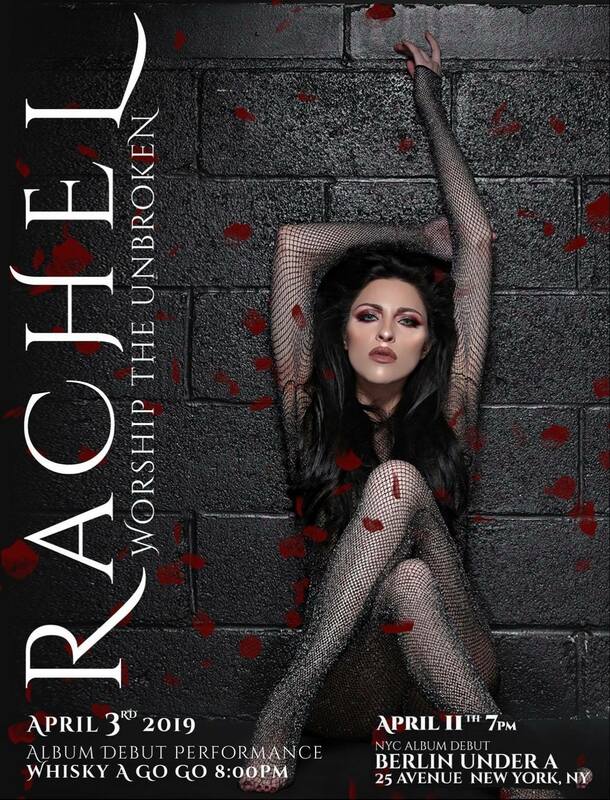 The 10-song album combines Rachel’s multi-octave vocal power with complex musical layering for a sonic experience.